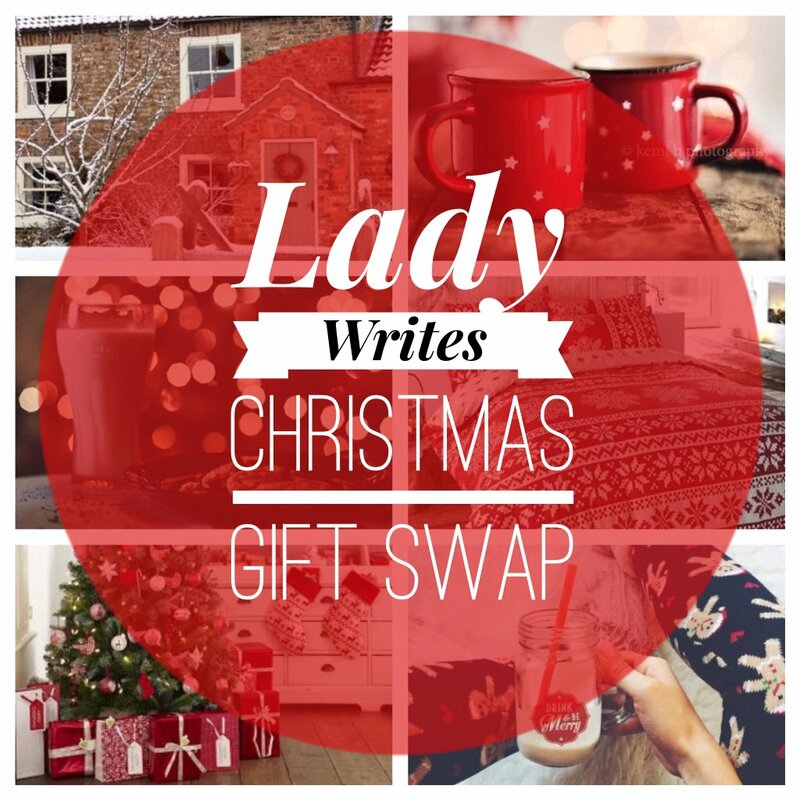 Earlier this year, I came across a blog called Lady Writes and saw that she was hosting a Secret Santa this Christmas, for other bloggers to be matched up to each other and send each other gifts. I thought it was an awesome idea, as we could network with each other but also see what different and creative gifts people could come up with to send to their secret santa. So of course I signed up immediately and a few weeks later an email popped into my inbox explaining who I was to send gifts to and the rules - you couldn't give your name if you were writing them a card or letter (as it would give the game away) and that there was a £20 maximum spend including postage, enough to get your Secret Santa a decent gift but not spend too much. The deadline for posting the presents was 4th December, so I made sure mine were in the mail by then and was excited to see what she thought of them. A week or two later after lots of worrying that it would never arrive (I worry a lot, ok?) a brown envelope turned up in my mailbox and low and behold, it was the presents from my Secret Santa. In the package was a lovely letter from her, saying that my blog was a refreshing read (always lovely to hear), a bar of Dairy Milk, a little Malteser reindeer (you won't be surprised to hear that I've already eaten them both) and a musical note scarf, something I'm going to be wearing a lot and trying to incorporate into any outfit. The scarf is a thin one, so can be worn in many different styles. I just want to say thanks to Lady Writes for coming up with this amazing idea and to my Secret Santa for my very thoughtful gifts - hope my you enjoy mine and I will definitely be taking part again next year!